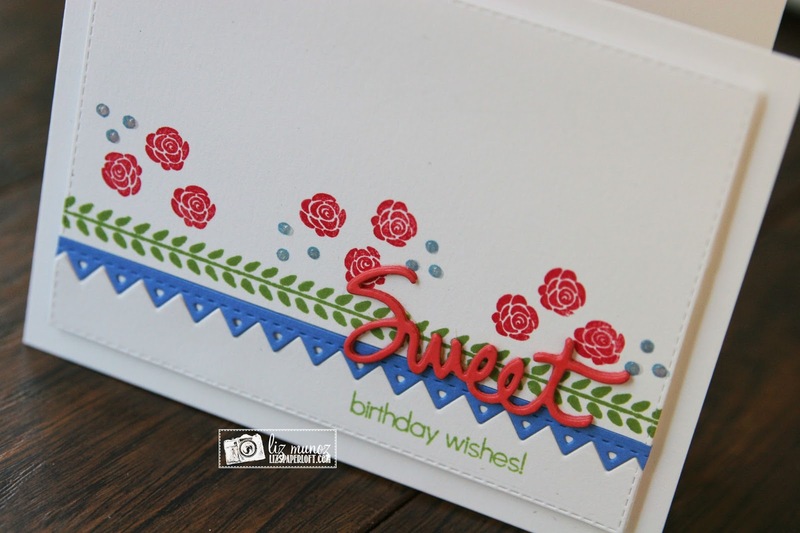 Liz's Paper Loft: MCT July Release Sneak Peeks Day 1 ~ sweet wishes! 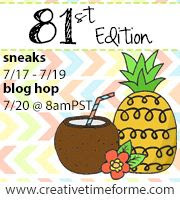 MCT July Release Sneak Peeks Day 1 ~ sweet wishes! It's hard to see the inlaid "fun edge" die. Very sweet card!!! I love the simplicity! 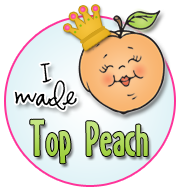 OMG Miss Liz Your card is absolutely Gorgeous...WOW I'm in awe of what you created and reading your recipe of how you used Miss Emma's goodies to create it...WOW....you really did a super outstanding creative job. Oh your inlaid border is beautiful..Great photos..I'm in awe. YOU so ROCK!! Cute card and love the simple look!! 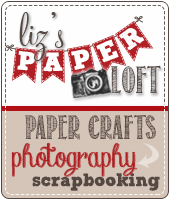 Love your card, Miss Liz! Your card is simply beautiful. I can so see this inspired by an old embroidered table cloth. I think I have some from my grandmother. Love this!! 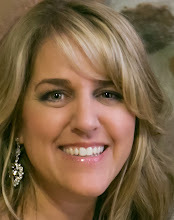 This is gorgeous, Liz! 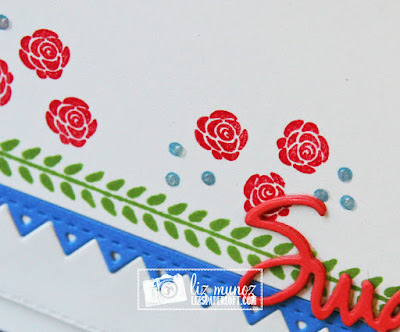 I love how you used the fun edge die with the border stamp. So pretty! I can see where your card looks similar to an old time tablecloth. I love the inlaid border paired with the new stamp. The roses are adorable with the borders. Great birthday card. 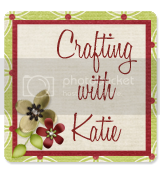 Pretty colors and patterns on your adorable card! Love the set of border stamps! Your cards is absolutely beautiful! Love how you used the leaf border. It looks gorgeous on this card. So cute and sweet and I like that your inspiration came from a vintage tablecloth. Very nice card and a great way to use this particular stamp from the new set. 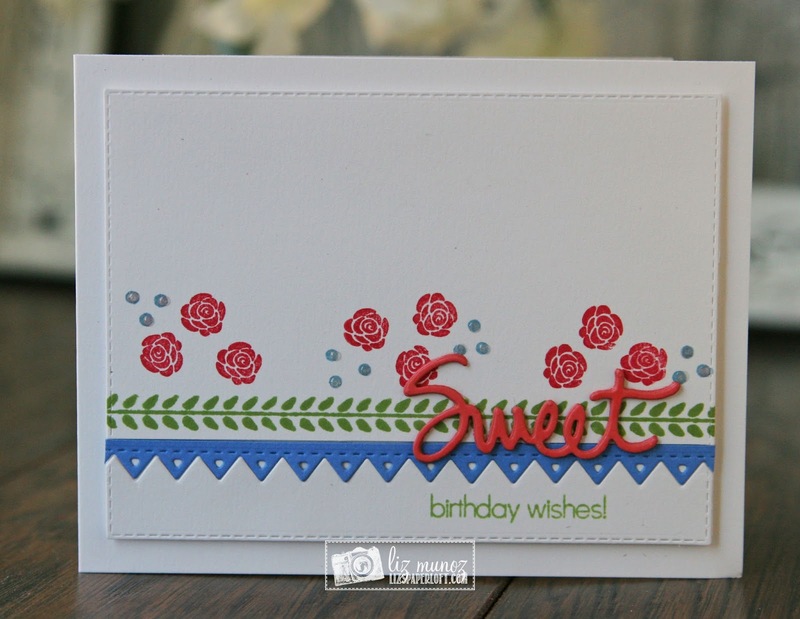 Liz, you sure captured the vintage tablecloth vibe on this one - love the inlaid border paired with the border stamp - really a great combo. 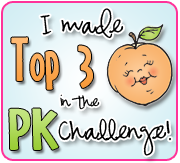 You rocked this card! Your card is sooo sweet. LoVe how you used all the borders. Thanks for sharing. Great colorful card. 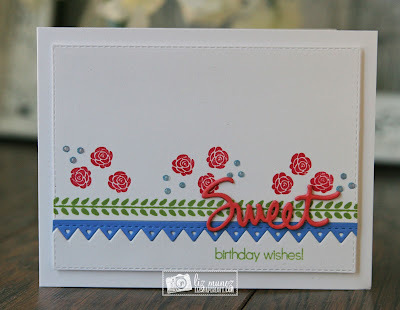 Love how you used the neat border stamp. love your beautiful flowers going across theawesome borders!!! Love the vintage look you have going on. The colors are perfect for it and the border stamp works fabulously. Simply a beautiful card! Gorgeous colors and GREAT card LO!! !